standards that create peer pressure to conform to these ideas of masculinity and male behaviour (Time for action: The National Council’s plan for Australia to reduce violence against women and their children 2009-2021). A long-term commitment to education and eradication of these social ‘norms’ is necessary to effect change. In 2008 the Commonwealth government established the National Council to Reduce Violence against Women and their Children (the National Council) to advise on the development of an evidence-based national plan. The National Council identified the main problems with the current system and presented its recommendations in March 2009 in a report called Time for action: The National Council’s plan for Australia to reduce violence against women and their children, 2009–2021. The National Council made clear statements about the need for political will, sustainability and the need for governments to work together to ensure that any plan of action is successful. Following this, the Commonwealth responded by developing the first National plan to reduce violence against women and their children 2010–2022 (National Plan) which was released on 15 February 2011 and endorsed by the Council of Australian Governments (COAG). The National Plan provides the framework for action by the Commonwealth, state and territory governments to reduce violence against women and their children. In 2014, the NSW government launched its initiative for domestic and family violence reform in a document called It stops here: standing together to end domestic and family violence in NSW. The NSW DV policy framework aims to provide a coordinated response to domestic violence, improve risk identification as well as strengthen prevention and early intervention. Since then, the NSW government has released the NSW domestic and family violence blueprint for reform 2016-2021: safer lives for women, men and children which sets out the directions and actions to reform the domestic violence system in NSW. Safety Action Meetings now operate in 48 locations across NSW. Safety Action Meetings are regular meetings of local service providers including representatives from NSW police and government and non-government agencies. The purpose of a Safety Action Meeting is to share information and resources and to develop Safety Action Plans to prevent or lessen serious threats to the safety of domestic violence victims. In 2010, the Domestic Violence Death Review Team was established in NSW. The role of the team is to review homicides and deaths that occur within the context of domestic violence with a view to identifying systemic causes of domestic homicide and to contribute to the prevention of domestic violence deaths in NSW. In 2012, the definition of family violence in the Family Law Act 1975 (Cth) was expanded and changes were made to prioritise the safety of children when making decisions about who children live with and spend time with after separation. Further significant amendments to the Family Law Act are likely to be introduced in 2019, following a comprehensive review of the family law system by the Australian Law Reform Commission which is due to report on 31 March 2019. For further information about how allegations of family violence are considered in family law proceedings see Family law. lack of knowledge of the legal system. It is also recognised that some groups of women may face additional barriers in dealing with the legal system, due to their race, ethnicity, sexuality, and/or disability. It may be that a woman’s background means that she faces a complex range of barriers, for example an immigrant woman who has a disability may face barriers because of her immigrant status and because of her disability. lack of family and other support systems to assist them in leaving the situation — particularly where there are children born to the relationship. Services need to be equipped to reach out to all victims of violence to ensure equity in accessing assistance. It is common in domestic violence situations for a perpetrator to threaten or even harm or kill pets. As a result of this some women delay leaving a violent relationship out of fear for the safety of their pets. Many women’s refuges are unable to accommodate pets but there are some temporary housing options for pets of people who have escaped domestic violence. The RSPCA’s Community Domestic Violence Program can be contacted on (02) 9782 4408 Monday to Friday or (02) on 9770 7555 on weekends or public holidays. It may also be possible to file a claim for financial assistance with NSW Victims Services to cover the costs of boarding or agisting pets or livestock after fleeing violence. The Elsie Refuge for women and children was a women’s refuge set up in Glebe in 1974. Feminist activists squatted in a public housing property as a protest against the lack of services. The Whitlam government provided funding in 1975. The refuge was the first of its kind, providing not just crisis accommodation but adopting a feminist perspective in helping women escape domestic violence. The Domestic Violence Hot Topic is intended as an introductory guide only and should not be interpreted as legal advice. 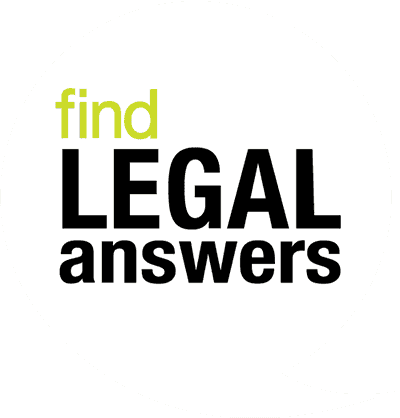 Find Legal Aid NSW factsheets and other resources on domestic violence.